Whilst Aerborn isn’t playing shows, you’ll often find her in a makeshift studio in the outer suburbs of Brisbane. With only her laptop, voice and a galaxy of glitter, AERBORN is a one-woman powerhouse of sound. Blending elements of dark pop and trap, she combines chilling lyrics with syrupy synthesized twists. The result - a force of positivity and self-reflection. Raised by perfomers, Ebony Bowen-Sauders found her passion for music at a very young age. Setting her sights not too far beyond the warm familiarity of her childhood city, Bowen-Saunders draws inspiration from Sydney based artists Flume and Alison Wonderland; hoping one day to inspire uniqueness and compassion through her own music. After releasing her first single, Joined, in 2017 and earning a spot on the Triple J Unearthed rotation, she went on to release a collaboration single ‘Smokers and Jokers’ with Major Minor - gaining over 300 000 plays on Spotify. Later that year, she featured on the track One Life by Brisbane producer SHVRDZ and began playing her first live shows. 'In a Phase' is the Aerborn's first major independent release featuring her own production. 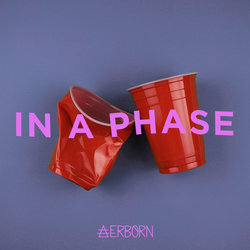 Aerborn wrote “In a Phase” over a year ago; the song reflects on a difficult time in her life - a lack of direction and finding a way out of that with music.